We talk a lot about tea in this newsletter, but today let’s talk about a tea that you may not be familiar with. It’s called yerba mate. And while it’s a popular drink in South America, its popularity hasn’t spread north as much as it deserves to. But here’s why you should consider it. 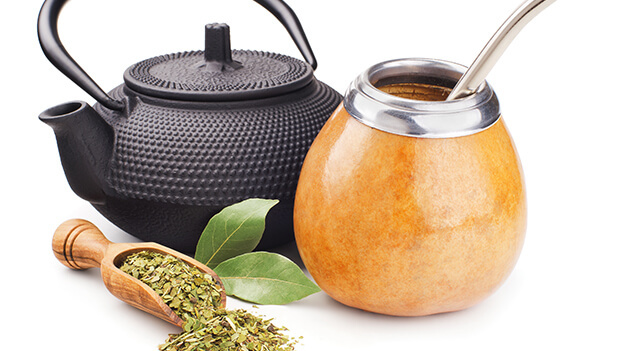 Like many teas, yerba mate is absolutely loaded with polyphenols and other antioxidants. And, as you know, polyphenols can be powerful anti-cancer agents. The number-one malignancy among Uruguayan women is breast cancer. So researchers wanted to find out whether drinking yerba mate, popular in Uruguay, was helping any Uruguayan women avoid this cancer. To do so, they looked at data from 572 women with breast cancer and 889 controls. The researchers asked the women to fill out questionnaires that collected information about their lives. It included socio-demographic factors, lifestyles, and other issues that can affect breast cancer risk, such as age at menarche, first live birth, and menopause; number of children; and time spent breastfeeding. They also filled out a food questionnaire that asked a number of specific questions about their yerba mate consumption. The researchers found that drinking yerba mate helped to balance out a number of hormonally driven risk factors. These included early menarche, having never been pregnant, spending little time breastfeeding, long length between menarche and menopause, and having many ovulatory cycles. High yerba mate intake was associated with lower risk of breast cancer overall, and this association also held particularly true for women who consumed high-calorie diets. The researchers believe that the tea’s antioxidants helped power these results and that it supplied beneficial anti-estrogenic effects as well. Yerba mate is safe and effective. Like green tea, it's naturally caffeinated and will give you a light energy boost along with a heavy dose of polyphenols. It's even safe for pregnant women to consume, provided you stay within the caffeine limits your doctor recommends. One of my favorite brands is Guayaki, which you can find online. I like that it's organic. If you know that you're at risk of breast cancer, particularly due to hormonal factors outside of your control, this tea is a good addition to your regular rotation.